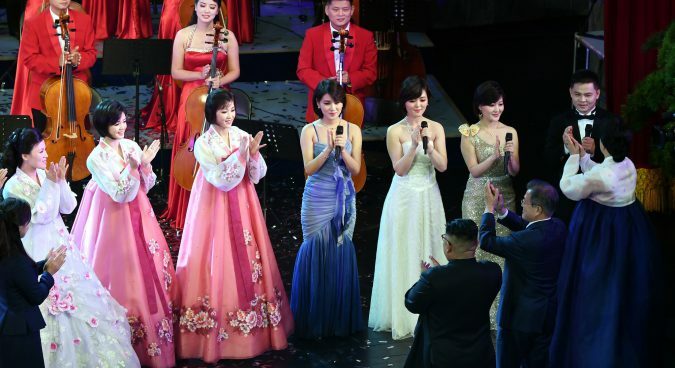 2018 has been a significant year for North Korean cultural diplomacy. Clearly, the primary push has been southward, and coordinated with Kim Jong Un’s overall drive to improve relations with Seoul. At the recent Pyongyang summit between Kim and Moon Jae-in, musical performances — and the performers themselves — played a significant role, going well beyond providing ceremonial trappings or tuneful (and predictably emotional) Arirangs. 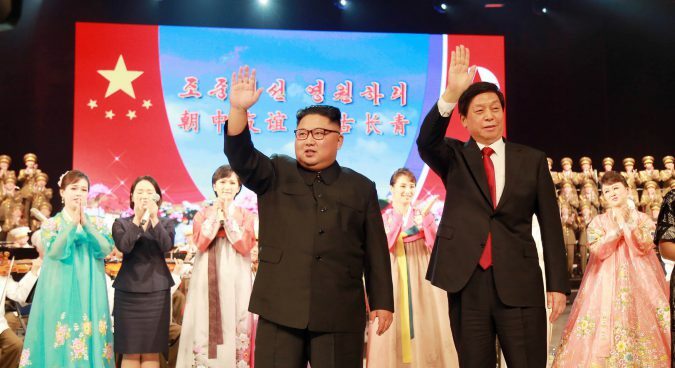 Kim Jong Un is clearly very proud of his cultural achievements, including the hybrid pop-agit-prop Moranbong Band, whose leader Hyon Song Wol has played a significant role in inter-Korean relations in the past nine months. Most of North Korea’s outwardly-oriented cultural production in 2018, however, has not found an audience in Washington, D.C. Forget for a moment the intense North Korean efforts to downplay anti-U.S. propaganda in street posters or parades in the September 70th anniversary celebrations. 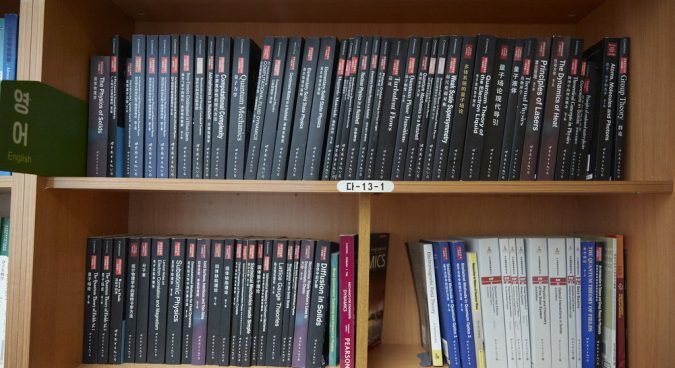 After all, as two NK News journalists described in a recent podcast after returning from Pyongyang, it appears clear that the anti-American propaganda and education is still hard-wired into North Korea’s domestic activity, namely propaganda rooms and education activities in workplaces and schools. In spite of the sloppily warm comments and fulsome tweets by President Trump about Kim Jong Un, the U.S. and North Korea are not engaged in meaningful cultural exchanges, nor do they seem to be contemplating such. 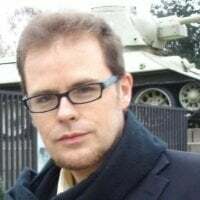 The unilateral and self-inflicted American travel ban to North Korea has not stopped U.S. journalists from getting permission to enter the DPRK, but managing journalists is not, properly speaking, cultural diplomacy. What is missing is the type of activity that the second George W. Bush administration was engaged in with North Korea, namely, the visit of a key American musical ensemble, the New York Philharmonic, to Pyongyang. Likewise, although Kim Jong Un has made extremely clear that the Moranbong Band is a politically trustworthy implement to be used in foreign trips and performances for foreign leaders, that group has not been invited to the United States, nor has any other North Korean artistic ensemble or unit. This is in part because the State Department and the National Security Council, presumably, rather than the President, want to remain focused only on denuclearization. Yet it seems unlikely that the State Department in particular would be unable to handle an acceleration of Track II-type activity. Is the department truly so overburdened and understaffed in the wake of Rex Tillerson’s swaggerless departure that a cultural element could not be brought in to build trust with the North Koreans? Perhaps the lack of cultural exchanges between the two countries comes down to a perception on the part of the Americans that any such exchanges are not just a distraction from the business of disarming North Korea, but would function as a reward and a propaganda victory for Pyongyang. As one of the few academic articles about North Korean cultural diplomacy put it in 2013, the North has tended to use such visits in a negative cycle of political recalculation and domestic triumphalism — namely as fodder for the personality cult. The President may be handing Kim Jong Un such “own-goal” type of victories via his Tweets and ad-libbed commentary on about a biweekly basis, but the rest of the bureaucracy is not going to give the rest of the U.S. population the opportunity to give the North Koreans any further fodder. All that the United States can point to as a tangible non-Trump, non-WMD related element in its new relationship with the DPRK after the Singapore summit, then, is the movement on the return of American remains from the Korean War. As a historian, it would be ridiculous for me to call this development insignificant, and it certainly helps to reestablish some level of U.S.-North Korean connectivity via the Department of Defense. But again, the return of remains from the Korean War is not really a Track II activity and it has certainly not been accompanied by the kind of people-to-people exchanges that could conceivably help to establish trust and pathways of cooperation between the U.S. and the DPRK. How would building upon the remains issue work, in terms of broadening cultural ties? It would include exchange of historians, more North Koreans coming to Korean War research facilities and memorials in the United States, such as the Harry S. Truman Presidential Library. It might also be possible to begin preliminary discussions over the U.S. return of North Korea’s huge archival haul which the U.S. gathered up (the more blunt readers will know this activity as ‘looting’) in the autumn of 1950 and is now in the U.S. National Archives as Record Group 242. American scholars and U.S. National Archives officials could do reciprocal visits to North Korean national archives as well as the more standard museums in Sinchon and Pyongyang. Unfortunately, these kind of academic exchanges geared specifically toward historical reconciliation are not forthcoming between Pyongyang and Seoul in spite of massive work already done by the Truth and Reconciliation Commission in the ROK (진실·화해를 위한 과거사 정리 위원회). Nor has Kim Jong Un’s pointed language about history in his speech at Panmunjom (in which the two Koreas were given ‘one history’) translated into deep changes to North Korea’s own approach to historical narratives. It would be foolish to assume the Americans could jump the queue by proposing such academic or research ties at this stage, building upon the thus-far successful if extremely limited contact on the issue of remains repatriation. But if peace and normalization is an option, these preparations need to be made anyway, and it represents another avenue that the U.S. could approach North Korea along the ‘trust-building’ pathway without losing face. It seems that every time a member of the Chinese Communist Party’s Central Committee Standing Committee meets with North Koreans, promises are made to deepen strategic communication and cultural exchanges. Strategic communication makes perfect sense (leaders talking to one another, no surprise nuclear tests, etc. ), but cultural exchanges? As anyone who has visited a North Korean work site in China can attest, the definition of people-to-people exchanges can be a rather instrumental one: is a North Korean textiles worker in, say, Zhenxing district of Dandong who is allowed to venture out of the factory gates and into a Chinese street market once every week or biweekly, who is under the watchful eye of North Korean state security as well as China’s increasingly omniscient Public Security Bureau, who is likely to need several weeks of deprogramming and ideological top-ups upon return to the DPRK, really doing any meaningful “exchange” at all, apart from their labor for money? Nevertheless, when it comes to the exchange of musical ensembles, artistic types and propaganda players, China seems to be leading the pack with North Korea. This is in part because of the longstanding bilateral ties; the two Parties have been exchanging cadre and culture over the border since before they were both put at the helm of their respective states. To put it more simply, since about autumn 1945, and in the case of Korean communists in Manchuria and Yan’an, the 1930s. Nevertheless, even with the relatively well-greased wheels of Sino-North Korean cultural exchange, severe problems can be encountered and crises erupted. One example would be December 2015, when the Moranbong Band was poised to perform for Beijing’s political and cultural elites in the famed “egg” across from the Great Hall of the People. I was living in Beijing during part of the time when that facility was being constructed, and the whispers among my friends in the Beijing orchestras was that Jiang Zemin had had an underground tramway set up between the leadership compound at Zhongnanhai and the theatre — not for any safety reasons but because he was having an affair with a flautist. Naturally none of that data is possible to corroborate, but it emphases the connection between leadership and venue. This is not only a national symbol for China but a preferred site for leaders to hobnob with foreign delegations. If the New York Philharmonic visit to Pyongyang in 2008 created a kind of baseline for U.S. cultural diplomacy, Kim Jong Il’s associated cultural efforts to persuade Chinese leaders and the public between 2009 and 2011 that his successor was viable are the baseline for really top-drawer North Korean cultural diplomacy toward the People’s Republic of China. This activity included months-long tours of the Sea of Blood opera ensemble around the PRC, the creation of a new Chinese-themed drama in North Korea, more exchanges and joint development in the film sector. In short, lots of bodies and trains moving across the border as part of official cultural delegations, and favorable coverage in the Chinese and North Korean state media outlets. What we are seeing today is that, no matter how many times Xi Jinping and Kim Jong Un met in 2018, Chinese cultural ties with North Korea are warmer than they were in 2015, but hardly running to capacity. The PRC seems eager not to give too much of an impression to the hawks in the Trump administration that the Chinese Communist Party is running pell-mell into the Kimist embrace. But at the same time, there are any number of smaller events and visits which are, to coin a phrase, rebuilding trust between China and North Korea. These range from events at the Chinese Embassy in Pyongyang to the Confucius Institute in Pyongyang, to visits by CCP-affiliated “cultural corporation” heads meant to help North Korea with its sports propaganda and joint media work. Long Yuxiang, one such visitor, was deemed sufficiently important to the North Koreans that he got a meeting with none other than Kim Yong Chol, Mike Pompeo’s steely interlocutor. 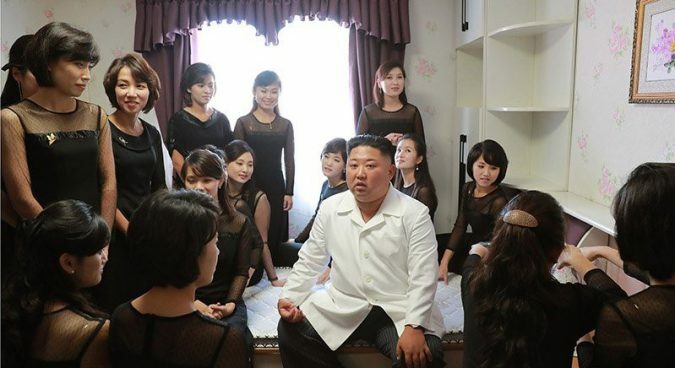 Likewise, Kim Jong Un’s personal hosting of a ballet performance of the “Red Detachment of Women” in Pyongyang in April 2018 is not to be discounted as a merely pro forma event; it indicates that he is open to a certain type of Chinese cultural influence (red, preferably) which has no way of being interpreted as the kind of capitalist poison, like rap music, that the Rodong Sinmun regularly warns against. Not unlike Madeline Albright in Pyongyang in 2000, Chinese leaders, too, are meant to be impressed by the trademark mass gymnastics and the corporatist state’s ability to coordinate its humanity into larger images of potentially harmonious futures. Culture and performance itself will never itself create the peaceful future, though — it is primarily an implement to supplement the exercise of hard power and to persuade whoever can still be persuaded that North Korea is a country worth interacting with, if not emulating. And Kim Jong Un’s preference for music more contemporary than his father’s old favorite Richard Clayderman is clearly not a signal for a broader opening-up and reform in which civil society is allowed to flourish outside of the grip of the Workers’ Party. The extent to which the Americans are in the least interested in emulating South Korean experience and opening up to more people-to-people and cultural delegation ties with North Korea remains to be seen. For an administration that has been accused of not having any culture or links to the performing arts whatsoever, perhaps the void is too great to fill. But surely there is some merit in considering the benefits of stretching the North Koreans out for a change and pulling a few dozen or a few hundred of their performers into the swirling cultural confusion that is the United States. Subscribe to read the remaining 2055 words of this article.